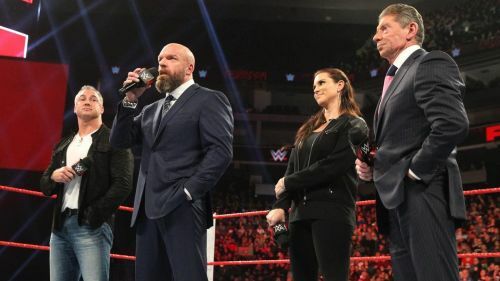 When Vince McMahon returned on RAW, he shocked WWE fans by promising a fresh start for the company, naming it "New-Era." Also, last month Baron Corbin and Paige were officially removed from their respective positions of General Manager of RAW and SmackDown Live. Followed by McMahon family replacing them and once again taking the strings in their hands. Due to this, many on-going and future storylines have been dropped. Also, the plans for the biggest show of the year, WrestleMania, are also being changed as Mr. McMahon has promised the WWE universe from now on they will see new things in the company. And based on the rumors out there I have prepared a list of the things that Vince McMahon could be planning for WrestleMania 35, following the new-era announcement. Since coming to the main roster, Drew McIntyre has proved why those four years away from the company were worth it. And putting aside the recent weeks, McIntyre is clearly poised for a massive push. This time it seems McIntyre would capture more titles than the last time, and Intercontinental Championship is probably one of them. As you already know, McIntyre is heavily rumoured to win the WWE Universal Championship in 2019. But, I think before he gets the hold of the red brand's top prize, he will hold the Intercontinental Championship, at least for one time. Therefore, I think, if Drew McIntyre is unable to win this year's Men's Royal Rumble match, he would still have his marquee match at the Show Of Shows, as there is no way "The Scottish Psychopath" will be left out of it. Chances are that Vince McMahon might book a one-on-one match between Drew McIntyre and Dean Ambrose for the Intercontinental Championship. Also, if this match takes place at WrestleMania 35, it'd the first time when we will see these two men in action with the IC Title on the line.